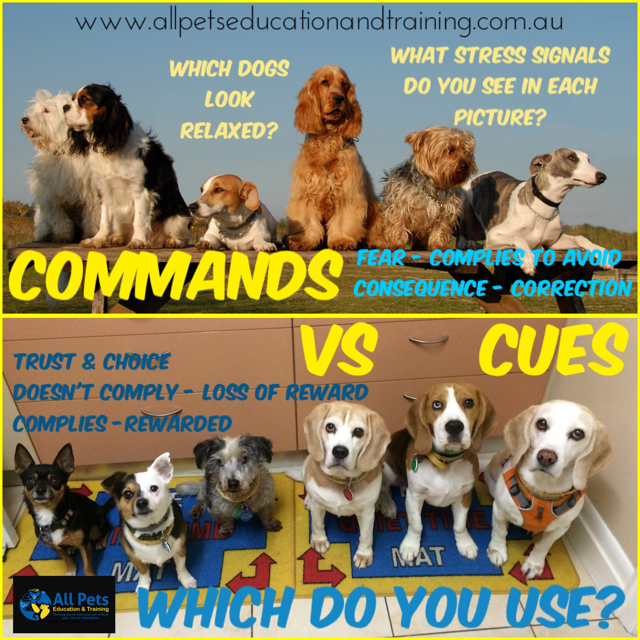 In the animal training (especially dog training) world these two words “Command” and “Cue” are often used interchangeably. However, I like to think of them as two different things, and I give my dogs’ cues and not commands. Well first let’s look at the definition for each. So when we think about it, a command is something directed to the dog and implies that there will be a consequence if they do not follow and the dog complies to avoid the consequence. Whilst a cue is a signal or request to do something – implying your dog has choice and that they will be rewarded if they do. Why do I allow my dogs choice? Well number 1 – it builds trust, and they will actually do a lot more for you without stress and whilst consenting. Think about Koffi, who has her blood taken, using a sustained target. If she breaks the target, I will stop doing what I’m doing – she has a choice. Yes she is quite comfortable, can choose to have a break, re-engage with the target, signaling her consent to go ahead. And of course she has payment at the end. What is an example of a Cue vs Command in our world as responsible adults? I’m driving along (in Aus so on the left side of the road), a car coming in the opposite direction has his right hand indicator on – this cue signals to me, that this car is wanting to turn right – potentially across my lane. What does this mean? Does it mean that I have to do something? No, however, it does make me aware, I may see the car, and continue on my way because traffic ahead is clear and flowing, or I could see the car, look ahead, see that traffic is slowing and banking up, and stop back from the intersection to allow the car to join or cross my lane. However, imagine, now that I’m driving along, and suddenly I have the red and blue lights and sirens of a police car behind me. Is this a cue (do I have a choice), or a command to pull over. Will there be consequences if I ignore the police car? Yes. In our world there are many things that act as cues for our dogs. It could be the gate click that cues the dog to go to the door to greet you when you arrive home from work. It could be the opening of a fridge door, which cues your dog you are about to do their dinner prep. It can be body positions (hand signals etc), or verbal cues that request your dog to do something such as “sit”. What happens if your dog doesn’t follow the request of your cue – they don’t get paid, no payment is made in pats, play, praise, leash on for walks or food etc. Why may your dog now follow such a request? · Do they really know the behaviour? · Has it been generalised? 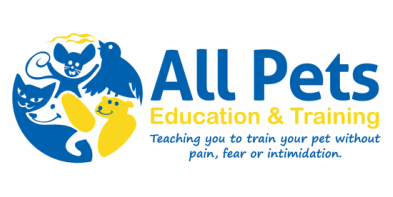 What happens if your dog doesn’t follow a command – in traditional dog training classes this results in something aversive such as a collar jerk, leash pop, pressure, static pulse etc. Look at the picture below – top pic vs bottom pic. Both have six dogs asked to station on a defined area. Which group of dogs do you think are following a cue or command? Why? Would you rather work for cues or commands? Which do you use in your training?